The Northern Virginia of 2017 is a prosperous place. Unemployment is gratifyingly low, and average personal incomes are enviably high. The residential housing market finally is warming up, while the commercial vacancy rates, at last, have been ticking down. All of Northern Virginia’s jurisdictions can boast growing economies. Yet worry wafts through the region, and its source is not hard to find. Just look across the Potomac River to Washington, D.C.
President Donald Trump has sent a budget proposal to Congress that includes a $52.3 billion increase in defense spending. That spending increase, however, would be offset by deep budget cuts for other agencies, possibly creating massive job losses in the Washington area. The Environmental Protection Agency, for example, would lose more than 3,000 jobs if its budget is cut a proposed 31.4 percent. Trump’s budget also includes a 29 percent spending cut for the State Department and foreign aid programs and reductions of 20.7 percent each for the Labor and Agriculture departments. A number of independent agencies, including the Corporation for Public Broadcasting and National Endowment for the Arts, also would be eliminated. If the $50 billion-plus shift to military spending occurs, Clower says, Northern Virginia defense contractors will capture some of that extra money. Nonetheless, he expects job losses from other agencies would have a bigger impact. “It would literally set us back billions of dollars of economic activity” in part because of the ripple effect of job losses. Clower still expects “decent job growth this year in Northern Virginia” and notes the budget would not take effect until the next fiscal year starting Oct. 1. Contractors not working in security and defense fields, however, may delay their hiring plans because of uncertainty surrounding the budget, he says. The budget proposal was announced in mid-March two days after the Bureau of Labor Statistics released its revised Northern Virginia job growth figures for 2016. The final numbers show that the region added 55,600 jobs during the year, down from a preliminary estimate of 72,400 jobs. Officials in Northern Virginia localities are assessing how the budget proposal will affect them. Gerald L. Gordon, president and CEO of the Fairfax County Economic Development Authority, notes that Fairfax is home to contractors serving a variety of government agencies. While cautious in his assessment of future effects of federal spending, Gordon is bullish about the growth of private-sector industry in the county, particularly the potential of personalized medicine, to move Fairfax from dependence on federal largesse. Last year, Inova Health System received $60 million in private contributions for its new research campus in Merrifield, and earlier this year it entered into a partnership with the University of Virginia that could reap significant rewards. Dr. Richard Shannon, executive vice president for health affairs for the University of Virginia Health System, says the university and Inova will conduct genomic and cancer research while U.Va. will open a branch of its medical school in Fairfax. The plan also includes the creation of an investment vehicle to fund research and seek private investment. Still another goal of the partnership is for the Schar Cancer Institute in Merrifield and the U.Va. Cancer Center to win designation as a comprehensive cancer center by the National Institutes of Health. That designation, now held by about 40 U.S. hospitals, would “make Inova part of a fraternity with access to cutting-edge therapies,” Shannon says. Todd Stottlemyer, CEO of the Inova Center for Personalized Health, says that Inova intends to build an even more extensive collaboration with U.Va. Already, it is working with an accelerator led by the university’s Darden School of Business to help commercialize research results. “As we have new discoveries, we want to have the infrastructure to get them to the marketplace,” Stottlemyer says. Prince William County similarly has been pursuing an academic-business relationship with George Mason University’s Science and Technology campus in Manassas. The university, for example is collaborating with startups that are developing products at the Prince William Science Accelerator. Jennifer Aument, chair of the chamber’s board, says that, in addition to the joint effort to build “a world-class workforce,” the partnership will provide a forum for discussion of key policies and facilitate interactions between the university and Northern Virginia businesses. Meanwhile, Arlington County has enhanced its reputation as a U.S. headquarters site for international companies. Long heavily Washington-dependent, the county scored a coup earlier this year when it landed the U.S. headquarters of Switzerland-based Nestlé. Nestlé will move its domestic operations from California to Rosslyn in a deal representing a $39.8 million investment and 748 jobs. The company will occupy about half of 1812 N. Moore St., a 535,000-plus square-foot building that had stood empty for three years. “Nestlé is an epic tenant for Arlington,” says Christina Winn, the county’s director of business investment. Although the federal budget may be center stage in Northern Virginia at the moment, another area of shared concern is always lurking in the wings: transportation and traffic. There, prospects are as mixed as those on government spending. The good news is that Metro will open six new Silver Line stations in 2020 in Fairfax and Loudoun counties and the $268 million Potomac Yard in-fill stop in Alexandria. These stations are expected to generate massive growth around them, which will be terrific for the tax coffers of their jurisdictions. For Metro itself, unfortunately, the other recent news has been bad. In February, the system temporarily lost millions in federal funding because of the failure of Virginia, Maryland and the District to meet a deadline for setting up an independent agency to oversee safety. And, even if that problem finds a resolution, a bigger obstacle looms: a $125 million budget shortfall for this fiscal year. During the coming decade, Metro is estimated to need $25 billion to run its aging system, yet it lacks any dedicated funding for that. It also has a $2.5 billion unfunded pension liability, and no means to cover that, either. Meanwhile, delays caused by its effort to conduct long-deferred maintenance through its SafeTrack program undoubtedly were a factor in a 12 percent drop in ridership from July through December. Lurking in the background of this dismal situation is the desire of many Republicans on the Hill to eliminate federal funding for mass transit altogether. That would leave Metro between a rock and an even harder place than it is in now. Making Interstate 66 inside the Beltway a toll road during rush hour. Designated express lanes on this stretch of highway are scheduled to open this summer. Upgrading I-66 outside the Beltway to three lanes in each direction; adding two express lanes in each direction between the Beltway and Gainesville while adding and expanding park-and-ride lots. 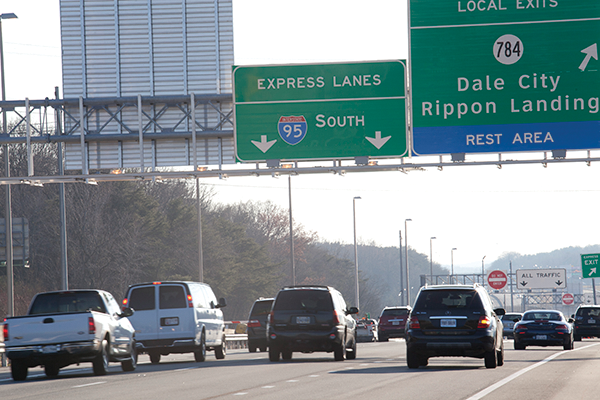 Extending express lanes on Interstate 95 to Fredericksburg, and adding express lanes on Interstate 395. Constructing a new southbound bridge on I-95. Adding commuter parking and expanded bus service in the I-95 corridor. Building 14 miles of new track for Virginia Railway Express, Amtrak and freight trains. Beginning reconstruction of the rail bridge across the Potomac River. Will Washington be on the same page?